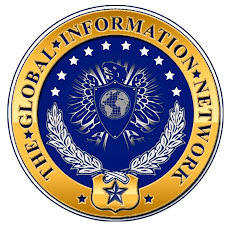 Brad's Economy vs Politics Blog: Is a Washington takeover of the Internet next? As important as all the fights are that we're in right now, perhaps the biggest of all is the fight over whether the government will take over the Internet. That's because as long as the Internet is free, we can use it to communicate, educate, and organize. Tea parties, townhalls, and AFP events would be very difficult to organize if government owned and controlled the Internet and chose to interfere with it. That's what's at stake this week as the Federal Communications Commission decides on Thursday whether to move forward with so-called "net neutrality" regulations. The net neutrality movement is an outgrowth of the larger so-called media reform project of radical left-wing activists like Robert McChesney who seek to destroy private control of the country's communications systems. I discussed McChesney and the so-called media reform movement last night on the Glenn Beck show, and you can watch that clip here. I'll be on with Glenn again tonight to discuss net neutrality specifically. As the Internet Freedom Coalition shows on our Net Neutrality Scare Ticket it has now been nearly 7 years since the November 19, 2002 letter that started the net neutrality scare, without a single significant incident of the kind of egregious behavior by evil phone and cable companies we're told require government intervention. It's a solution in search of a problem. Net neutrality sounds simple--force phone and cable companies to treat every bit of information the same way--until you realize that modern networks are incredibly complex, with millions of lines of code in every router. Making sure services like VoIP, video conferencing, and telemedicine (not to mention the next great thing that hasn't been invented yet) get priority may be necessary to make the Internet work. But the government is working to do just the opposite. These networks cost billions of dollars to build and maintain, and if there is uncertainty whether there will be a good return on that investment, private investment will dry up. And then government will step in, spending billions of our tax dollars on a government-owned and controlled Internet. The push for a Washington takeover of the Internet is coming from the White House. It includes Susan Crawford, the so-called Internet Czar, who told The Wall Street Journal in April that the $7.2 billion of stimulus money for broadband she is helping spend is a "down payment on future government investments in the Internet." She went on to say: "We should do a better job as a nation of making sure fast, affordable broadband is as ubiquitous as electricity, water, snail mail or any other public utility." It comes right from the top. President Obama himself said on the campaign trail: "I will take a backseat to no one in my commitment to Net Neutrality." The FCC will vote Thursday on what it calls a Notice of Proposed Rulemaking on Net Neutrality. If it passes, it will start a public comment period and I'll be emailing you again with instructions on how to file comments. But for the next couple days, we need to make our case against the FCC even taking that first step down the road to a Washington takeover of the Internet. Here's what you can do to help: The FCC created a website at www.OpenInternet.gov where you can comment on government regulating the Internet under so-called net neutrality rules. The left has been flooding it with comments. Please take a moment to head over to www.OpenInternet.gov and click on "Join the Discussion" to make your voice heard for keeping the Internet in private hands. P.S. Wanted to remind you again that you can see me tonight on the Glenn Beck program on FOX News at 5PM and 2AM Eastern, 2PM and 11PM Pacific. Americans for Prosperity (AFP) is the nation's premier grassroots organization committed to advancing every individual's right to economic freedom and opportunity. AFP believes reducing the size and scope of government is the best safeguard to ensuring individual productivity and prosperity for all Americans. AFP educates and engages citizens in support of restraining state and federal government growth, and returning government to its constitutional limits. AFP has more than 700,000 members, including members in all 50 states, and 25 state chapters.